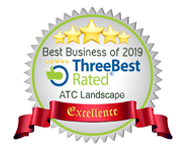 ← ATC Landscape is Rated as Top 3 in Lawn Care Services! Add compost or manure to the areas where you will be planting roses, vegetables, strawberries, and rhubarb. Don’t add manure where you will be planting potatoes because that can cause them to scab. 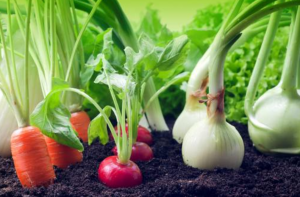 Things to plant in April: carrots, cabbage, beets, broccoli, green onions, lettuce, onions, turnips, and parsnips. 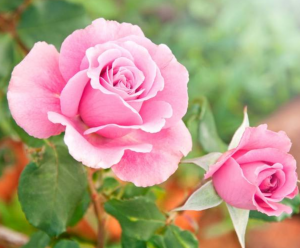 Fertilize your roses, shrubs, trees, hedges, vines, perennials, and small fruits. Plant new roses, shrubs, trees, pansies, perennials, herbs, and small fruits. Use manure, compost, bone meal, peat moss. Water often. Prune your roses when daffodils begin to bloom. Prune shrubs that bloom in the spring AFTER flowering. Weed on an ongoing basis. Buy summer flowering bulbs, tubers, and roots and plant as per the instructions on their packages. Non-winter types (such as glads and dhalias) should be planted after April 1st. Remove thatch in older lawns and dead moss in lawns that have been treated with moss control (approx. 10 days after moss control). Lime your lawn about two weeks before fertilizing. 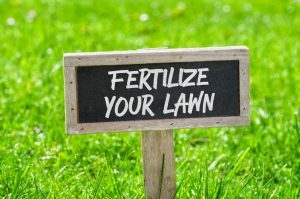 Fertilize your lawn with high quality, organic fertilizer. Ongoing weed and dandelion control. 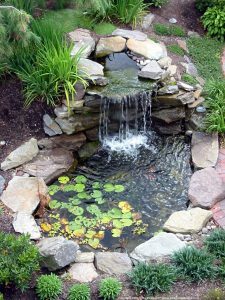 Do a thorough cleaning of your pond so that it is nice and fresh! Water plants are usually available for purchase at your local garden centre in May. All of this can seem quite overwhelming, but there are always people to help you out at your local garden centre and the Internet has answers for everything! You can also count on ATC Landscape if you are located in the Coquitlam area. Give us a call today at 604-720-2853. This entry was posted in Gardening, Landscaping Tips and tagged coquitlam, coquitlam landscaper, coquitlam landscaping, flower gardening, spring landscaping, spring landscaping tips, spring lawn care, vegetable gardening. Bookmark the permalink.